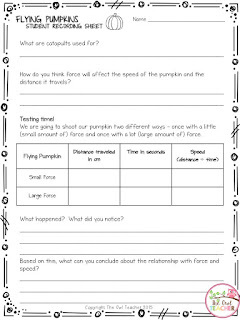 Classroom Freebies Too: Flying Pumpkins Science Fun! For Halloween every year, I like to do something educational, yet fun! In our district, we aren't actually allowed to celebrate Halloween. We call it fall festivities. 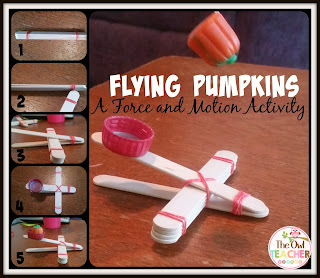 So this activity makes it that much more exciting! To review force and motion, or even simple machines for that matter, while adding a little fall spirit, head over to my blog and check out my Flying Pumpkins Post! 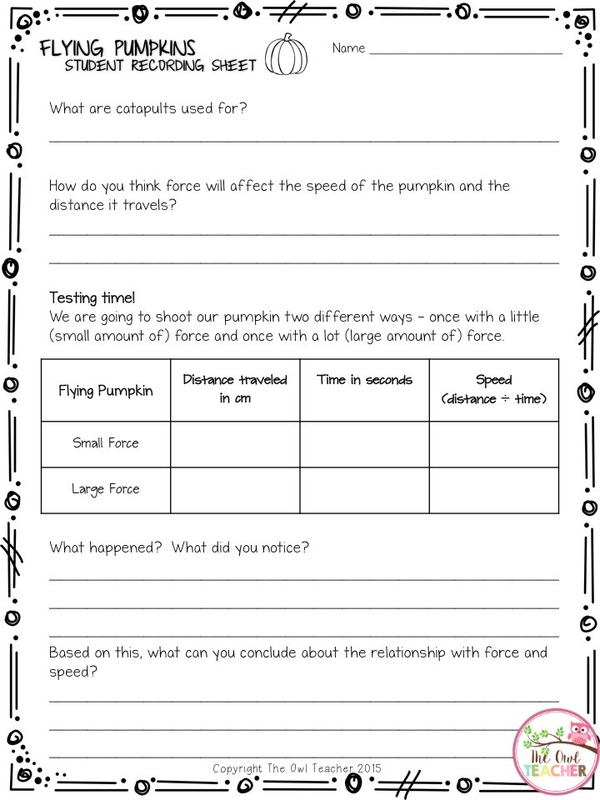 You'll also be able to pick up this freebie to go along with this fun science activity!